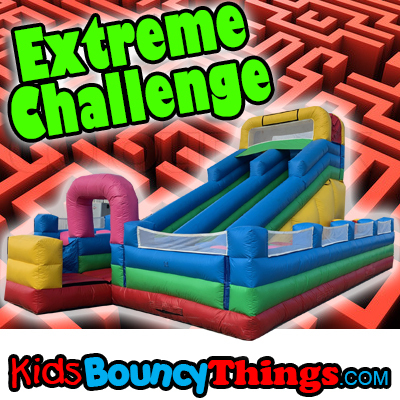 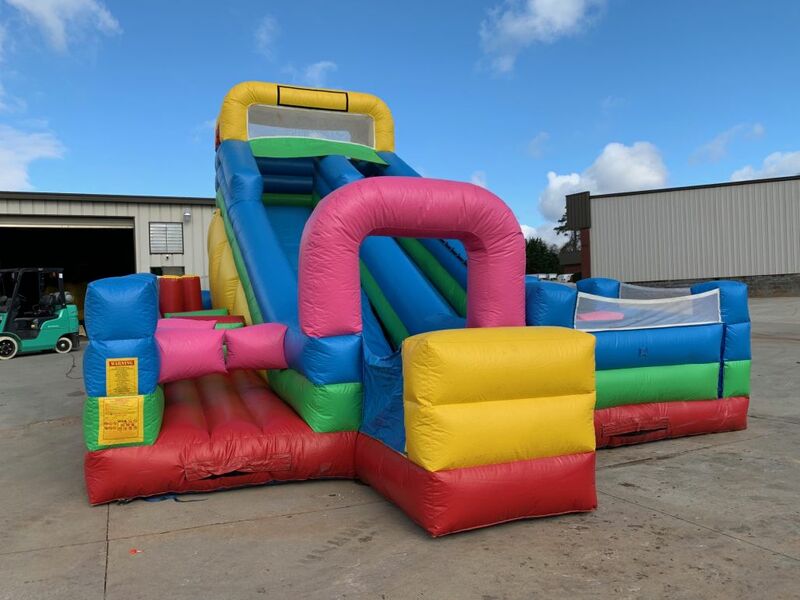 Our Extreme Challenge obstacle is a unique design and combines a complete obstacle course maze with an 18' slide. 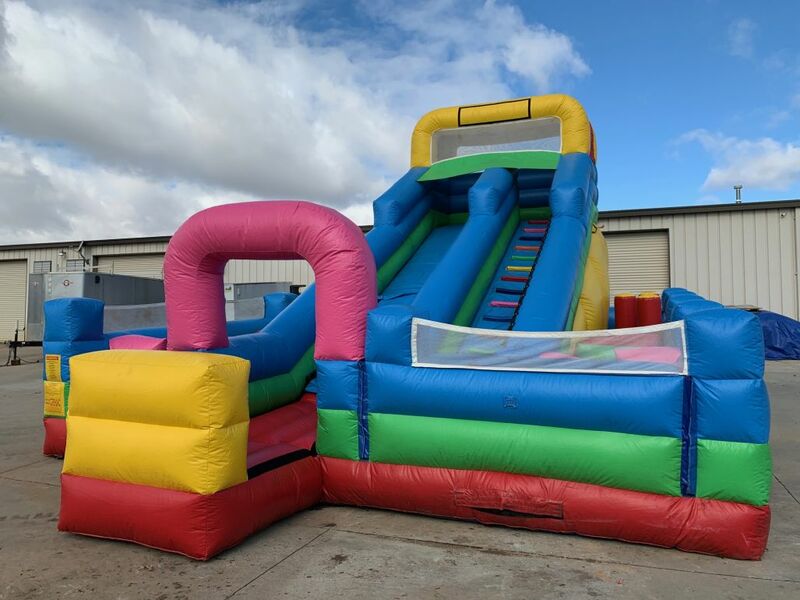 Now you can have the best of both worlds! 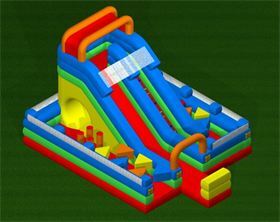 Width: 35' Length: 24' Height: 18' Weight: 970 lbs.